3. Maintaining the stable high precision for temperature and humidity. 4. 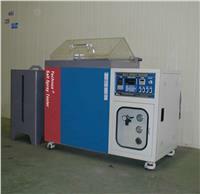 Reliable testing equipment based on vacuum insulation with environmental friendly and high insulated performance. 5. Average diameter for silica basic particle of vacuum insulation is extremely small with 7~40nm and wide surface area with 50~380m2/g. Highest insulated performance display due to low thermal conductivity with three-dimensional type.